[S876] B. Esther (Oviedo) Harn, "E.B. Harn Sheets, FHL film 1036595, # 54,55", Feb 1977 (18921 Knapp St., Northridge, CA 91324). Hereinafter cited as "E.B. Harn Sheets, FHL film 1036595." [S875] B. Esther (Oviedo) Harn, "E.B. Harn Sheets, FHL film 1036595, # 54", Feb 1977 (18921 Knapp St., Northridge, CA 91324). Hereinafter cited as "E.B. Harn Sheets, FHL film 1036595." (located on family tree on ancestry.on, submitted by carolyn donithan). Hereinafter cited as Obituary of Reason E. Harn. [S1856] Obituary of Reason E. Harn, online www.ancestry.com, (located on family tree on ancestry.on, submitted by carolyn donithan). [S1873] Martha Jane McNeil gravestone; n/a, n/a. Source Citation: Year: 1900; Census Place: Havana, Mason, Illinois; Roll: T623 328; Page: 33A; Enumeration District: 59. Source Information: Ancestry.com. 1900 United States Federal Census (database on-line). Provo, UT, USA: The Generations Network, Inc., 2004. Original data: United States of America, Bureau of the Census. Twelfth Census of the United States, 1900. Washington, D.C.: National Archives and Records Administration, 1900. T623, 1854 rolls.
. Hereinafter cited as 1900 Federal Census - Illinois. [S1867] Onzelo Harn, unknown newspaper, n/a, ca. Oct 1990, n/a. Hereinafter cited as unknown newspaper. [S1866] Butler Harn, Prominent Lewistown Citizen, dies, unknown newspaper, Lewistown, Illinois, ca. Feb 15 1937, n/a. Hereinafter cited as unknown newspaper. Death: Feb. 14, 1937. Hereinafter cited as Find a Grave website. John Harn was born circa 1865 at Illinois; information from 1880 Illinois Census. He was the son of John Harn and Susan Crabtree. Henry Harn was born circa 1857 at Illinois; Henry was was 13 years old in 1870 Illinois Census. He was the son of John Harn and Susan Crabtree. Judd Harn was the son of John Harn and Susan Crabtree. Mary Harn was the daughter of John Harn and Susan Crabtree. Her married name was Harn. Corrilla Harn Douty married W.H. Miller.2 Corrilla Harn Douty was born in 1838 at Maryland. She was the daughter of Grafton Douty and Elizabeth C. Leatherwood. Her married name was Miller. [S877] B. Esther (Oviedo) Harn, "E.B. Harn Sheets, FHL film 1036595, # 212", Feb 1977 (18921 Knapp St., Northridge, CA 91324). Hereinafter cited as "E.B. Harn Sheets, FHL film 1036595." [S1714] Esther Oviedo-McCulley, From Heron to Harn - The Family Genealogy (Temecula, California: Omega Print and Copy Center, Sep 2000), pg. 164. Hereinafter cited as From Heron to Harn - The Family Genealogy. Source Citation: Year: 1860; Census Place: Columbus Ward 1, Franklin, Ohio; Roll: M653_964; Page: 13; Image: 31; Family History Library Film: 803964. Ancestry.com. 1860 United States Federal Census database on-line. Provo, UT, USA: Ancestry.com Operations, Inc., 2009. Images reproduced by FamilySearch. Male Rolfe married Eliza Williams. Her married name was Alitz. Barbara in Des Moines-IA 1977, according to obituary of father. Barbara Jean Graner lived at Des Moines, Polk Co., Iowa. Barbara Jean Alitz, 71, passed away at home on Thursday, May 23, 2013. She grew up in Mason City and graduated from Holy Family Catholic School. Barbara married John Alitz in 1960. They made their home in Runnells, IA where they raised their four children: twin sons, John and Joe, son, Jim and daughter, Janna. They celebrated 53 years of marriage. Barb loved her family, her church and her work. She was a member of St. Joseph Catholic Church, Des Moines. Barb was a dedicated employee of Southridge HyVee, Des Moines for 27 years. Barb enjoyed spending time with her family, especially her grandchildren. She also enjoyed gardening and collecting antiques. Barb was preceded in death by her parents, Lewis and Francis Graner; and two brothers, Lewis and Jack Graner. She leaves behind her husband, John; children, John (MaryKay)Alitz, Joe (Katie) Alitz, Jim (Tracy) Alitz and Janna (Ryan) Wheatly; 12 grandchildren, Terran, Josh, Ashland and Adia Alitz, Nick, Tyler and Tommy Alitz, Alexis Alitz, Katherine Vega and Christopher Ebert, and Luke and Ella Wheatly; siblings, Mildred (Norm) Mondahl, Marylou (John) Behm, Patricia (Larry) Szymeczek, and Joan Evans (Joe Ricketts) and their families. [S170] Paul Bradley PURDY (321), A branch of the Purdy family descending from David and Eliza Ann Purdy with David's line from Francis Purdy of Fairfield 1595-1658, pg 11 (n.p. : n.pub., c1962). Hereinafter cited as The David Purdy Family. 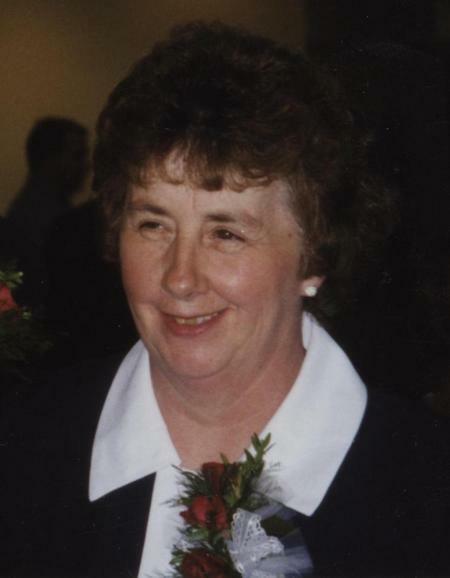 [S2294] Barbara Jean Alitz, Iles Funeral Homes, http://www.ilesfuneralhomes.com/obituary/Barbara-Jean-Alitz/Des-Moines-IA/1211084. Hereinafter cited as Iles Funeral Homes. CASA GRANDE, Ariz. — Lewis “Lewie” Graner Jr., 63, of Casa Grande, Ariz., passed away peacefully on (Dec. 28, 2008) of cancer. Lewie was born on Oct. 6, 1945 in Mason City, Iowa, to Lewis and Frances Graner. He is survived by Harriet, his wife of almost 16 years; stepchildren, Scott (Elizabeth) Hage, Deborah (Rudy) Hanuman and Michael Hage; grandsons, Samuel and Joseph Hage, Connor Hage, De and fiancée Katie Olson, Chasity and Dustin Hanuman; as well as his sisters, Mildred (Norman) Mondahl, Marylou (John) Behm, Patricia (Larry) Syzmeczek, Barbara (John) Alitz, and Joan Evans; sister-in-law, Cheryl Graner; several nieces and nephews and many, many friends. Lewie attended Holy Family Elementary and Newman High School in Mason City, Iowa. He received his last rites on Tuesday, Dec. 23, 2008, and had great comfort in this blessing. Lewie began his life as an iron worker before becoming a painting contractor. He lived many years in California, returning to Iowa to spend quality time with his family. He married Harriet Hage on April 10, 1993. They lived in Nora Springs before moving to Casa Grande, Ariz. He then acquired his real estate license where he and Harriet worked as a team for Century 21 Arizona Foothills. Fishing was his passion and he loved all sports, especially the Vikings football team. He was a fun-loving, happy man who made friends with any stranger. He enjoyed gardening and growing tomatoes. Lewie was preceded in death by his parents, Lewis and Frances Graner; and a brother, John “Jack” Graner. An open house was held at his home, 1729 E. Shasta St., Casa Grande, from 1 to 3 p.m. Saturday, Jan. 3, 2009. Following at 5:30 p.m., a Mass was said in his honor at St. Helen of the Cross Roman Catholic Church, 205 W. 8th St., Eloy, AZ. CASA GRANDE, Ariz. - Lewis "Lewie" Graner Jr., 63, of Casa Grande, Ariz., formerly of Mason City, died Dec. 28, 2008, of cancer. [S2296] Lewis Graner Jr., Globe Gazette Newspaper (Mason City, Iowa), http://globegazette.com/, 17 Jan 2009, obituary online. Hereinafter cited as Globe Gazette Newspaper. [S2295] Lewis Graner Jr., Globe Gazette Newspaper (Mason City, Iowa), http://ncigs.org/new/obituaries/masoncity/2009/january/january4.html, 17 Jan 2009, North Central Iowa Genealogical Society. Hereinafter cited as Globe Gazette Newspaper. John Ray Graner was born on 19 January 1948 at Mason City, Cerro Gordo Co., Iowa.1 He married female (?) John Ray Graner was the son of Lewis Ferdinand Graner and Frances Mary Seiz. Is a twin. John in Phoenix-AZ 1977, according to father's obituary. John Ray Graner lived at Phoenix, Maricopa Co., Arizona. Joan Kay Graner married James Redeker. Joan Kay Graner is the daughter of Lewis Ferdinand Graner and Frances Mary Seiz. Katherine Lee Mondahl is the daughter of Norman Clarence Mondahl and Mildred Frances Graner. Laura Lynn Mondahl is the daughter of Norman Clarence Mondahl and Mildred Frances Graner. John Wesley Behm Jr. is the son of John Wesley Behm and Mary Louise Graner. Timothy Lewis Behm is the son of John Wesley Behm and Mary Louise Graner. Larry Dean Szymeczek Jr. is the son of Larry Dean Szymeczek and Patricia Ann Graner. Matthew Wayne Szymeczek is the son of Larry Dean Szymeczek and Patricia Ann Graner. Charles D. McGlashan was born at Livingston Co., New York.1 He married Sophia Foote. Charles D. McGlashan died on 11 January 1872.2 He was buried at Red Wing, Goodhue Co., Minnesota. Charles D. McGlashan was a Tavern-keeper. [S878] Unknown article title, OBITUARY: Goodhue County Republican, 18Jan1872, 4:4, Red Wing, Minnesota, 18 Jan 1872, 4. Hereinafter cited as Goodhue County Republican. [S475] Paul Bradley Purdy, A branch of the Purdy family descending from David and Eliza Ann Purdy with David's line from Francis Purdy of Fairfield 1595-1658, pg 7 (n.p. : n.pub., c1962). Hereinafter cited as The David Purdy Family. Sophia Foote married Charles D. McGlashan. Sophia Foote died on 12 February 1880 at Iowa; OBITUARY: Goodhue County Republican, 19Feb1880, 4:1.1 She was buried at Red Wing, Goodhue Co., Minnesota. Her married name was McGlashan. Following from The Goodhue County Republican Newspaper, page 4 column 1, 19Feb1880 (Thursday). The remains of Mrs. Chas. McGlashan, who recently died in Iowa, at the residence of her son, were brought here for internment last Saturday. They received the last earthly rites at the house of Mr. S.S. Watkins, whose was a step-daughter of the deceased, and the funeral services were said at the Presbyterian church Sunday afternoon. [S303] Paul Bradley PURDY (321), A branch of the Purdy family descending from David and Eliza Ann Purdy with David's line from Francis Purdy of Fairfield 1595-1658, pg 15 (n.p. : n.pub., c1962). Hereinafter cited as The David Purdy Family. Ancestry.com. Washington, Marriage Records, 1865-2004 (database on-line). Provo, UT, USA: Ancestry.com Operations, Inc., 2012. Original data: Washington State Archives. Olympia, Washington: Washington State Archives., unknown repository, unknown repository address. Hereinafter cited as Washington, Marriage Records, 1865-2004. Kathryn Ruth Marlatt married John Wildhaber. Kathryn Ruth Marlatt is the daughter of Donald Lloyd Marlatt and Ruth Ann Everest. Candace Jean Marlatt married male Deswert. Candace Jean Marlatt is the daughter of Donald Lloyd Marlatt and Ruth Ann Everest. Donald Lloyd Marlatt Jr. is the son of Donald Lloyd Marlatt and Ruth Ann Everest. Jane Brewer was born on 14 April 1920.1 She was the daughter of Fred Jackson Brewer and Margaret Ann Gilmore. Jane Brewer married Bertram Wade White on 27 December 1942 at South Milwaukee, Milwaukee Co., Wisconsin. Her married name was White. Jane Brewer lived in 1960 at Willoughby, Lake Co., Ohio. [S880] Paul Bradley Purdy (321), A branch of the Purdy family descending from David and Eliza Ann Purdy with David's line from Francis Purdy of Fairfield 1595-1658, pg 24 (n.p. : n.pub., c1962). Hereinafter cited as The David Purdy Family. Helen Virginia Brewer was born on 26 July 1925.1 She was the daughter of Fred Jackson Brewer and Margaret Ann Gilmore. Helen Virginia Brewer married Millard Bruce Salter on 20 July 1950.1 Helen Virginia Brewer died in September 1991 at age 66. Her married name was Salter. She lived in 1960 at Waukesha, Waukesha Co., Wisconsin. Children are twins. [S395] Paul Bradley PURDY (321), A branch of the Purdy family descending from David and Eliza Ann Purdy with David's line from Francis Purdy of Fairfield 1595-1658, pg 24 (n.p. : n.pub., c1962). Hereinafter cited as The David Purdy Family. William Henry Brewer was born on 12 February 1930.1 He was the son of Fred Jackson Brewer and Margaret Ann Gilmore. William Henry Brewer married Sakito Komatsu on 6 August 1953.1 William Henry Brewer died on 6 August 2008 at Utah at age 78. He was buried at Grantsville City Cemetery, Grantsville, Tooele Co., Utah. Married by Shinto Priest in Japan on 06Aug1953. Married by US Counsel on 21Dec1954. Bertram Wade White was born on 31 May 1918.1 He married Jane Brewer, daughter of Fred Jackson Brewer and Margaret Ann Gilmore, on 27 December 1942 at South Milwaukee, Milwaukee Co., Wisconsin. Bertram Wade White lived in 1960 at Willoughby, Lake Co., Ohio.